Through-out the article we will learn step-by-step: How to perform crud operations in WPF . We will discuss crud operations with usage of WPF. I have mention the code for Save,Edit,delete given below. In these days, WPF is most growing technology and as a developer, I am curious to know and learn about the new features of this framework. From last couple of days I was wondering how can I perform CRUD operations using sql queries. For the same I have gone through various forums etc. Unfortunately, I did saw very few posts/articles for the same. Finally, I tried and came with a solution to perform CRUD operations without the use of WPF. In this article, I am going to share my findings with all of you. Ah! This question came to my mind while I was finding the solution of my problem, I jotted down few points and finally called them as a steps to perform CRUD Operations. Following code invoke the Insert and Update Records to database. Following code-snippet defines How to select corresponding record and then to populate them. 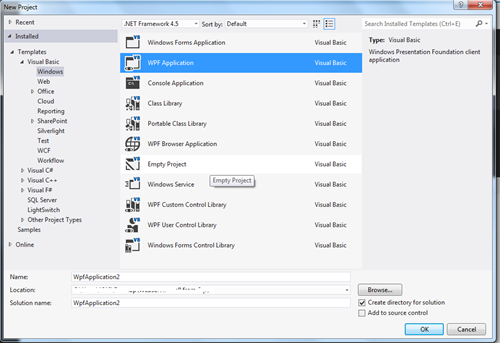 In this whole article, we discussed about CRUD operations using WPF. Good start! Keep posting good contents.